Fixation, which is based in Kennington, south London, was founded in 1988 by Mike Allen, who has announced plans to retire and reduce his involvement in the business. ‘Our company has an unparalleled reputation amongst professional photographers. After 27 years, it is time to hand over the baton to a new team to take the business forward,’ Allen said. Wex plans to expand Fixation’s repair and rental capacity across the UK, from its current London base. Allen, a former service manager at Nikon UK, said he was ‘immensely proud’ of the business and of all the hard work his team has put in over the years. 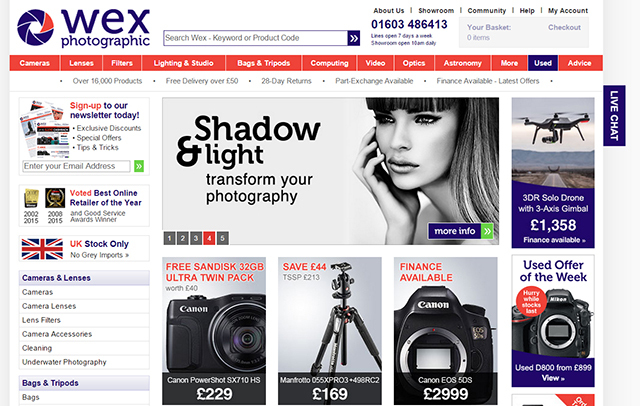 Wex Photographic was founded in 1997 and has a showroom in Norwich. Allen and co-director Paula Stevens will continue to work for Fixation in an advisory capacity.